This is probably the last post of this month because next week I will be super busy due to residence relocation. 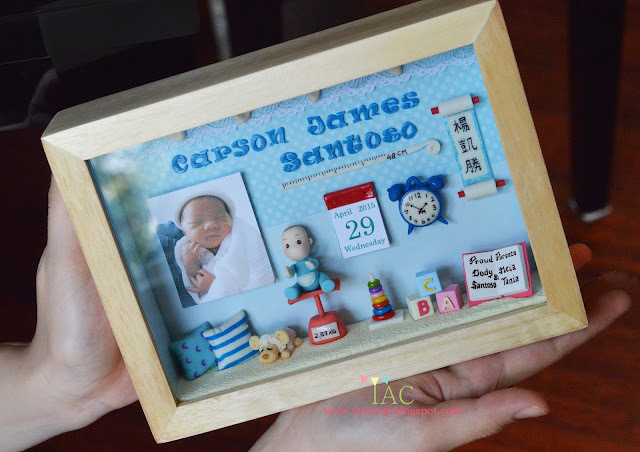 This is another order of baby frame but this time it is in 5R size, slightly bigger size than the usual size I make which is 4R. The interior is 6"x8" and the depth is 1,5"